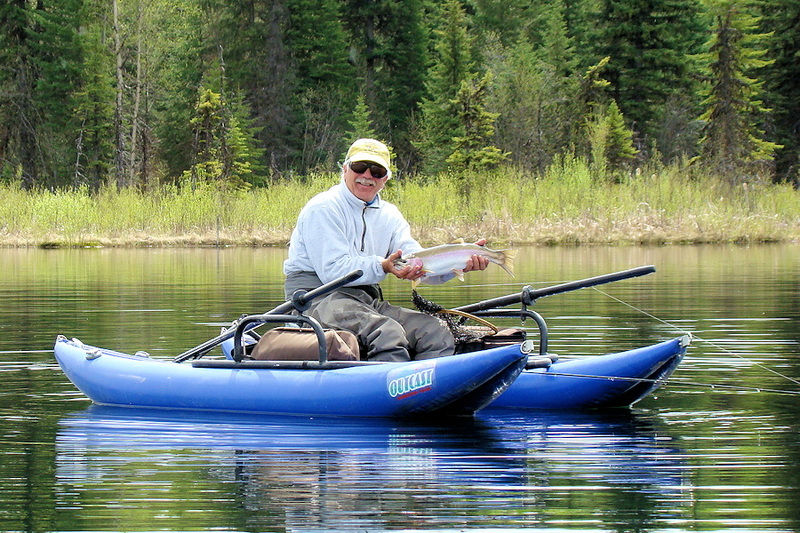 Great fly fishing is not limited to only the large lake, Quesnel Lake, and it’s feeder creeks. In fact, the smaller lakes that surround us are alive with wild rainbow trout. 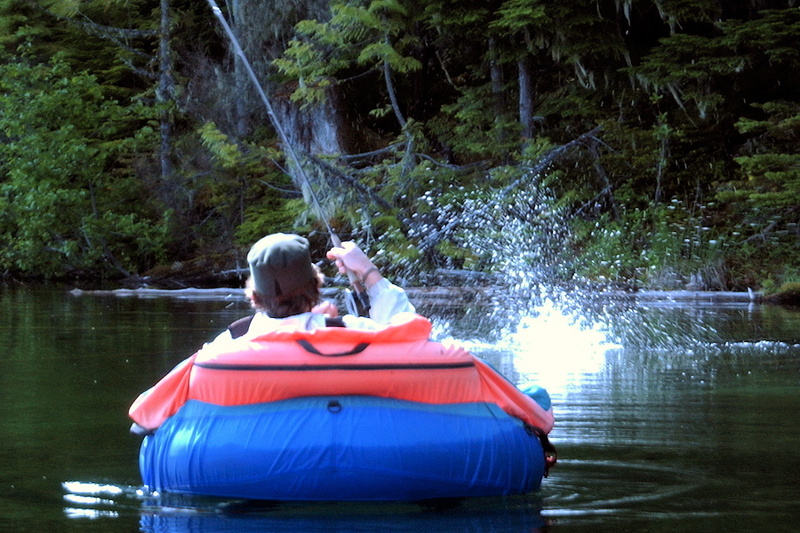 And, BC’s Cariboo region is famous for it’s stillwater fly fishing action, offering you yet another rewarding angling experience. 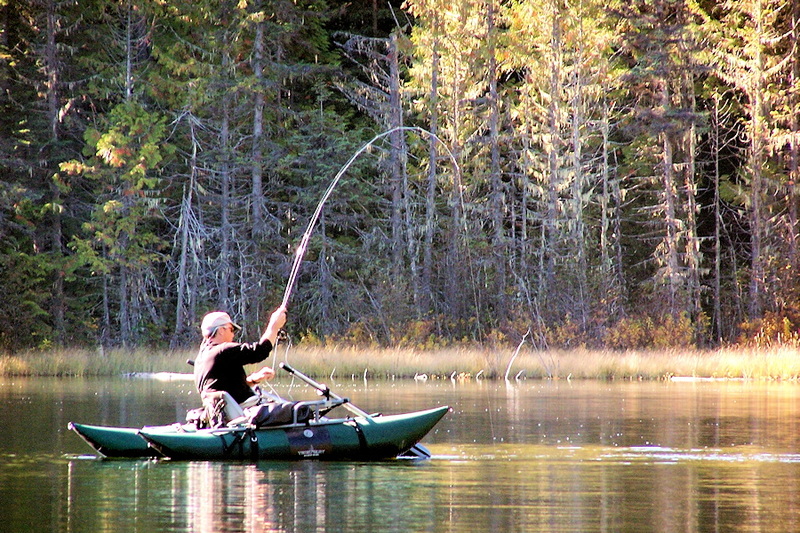 Although noted for fly fishing, spin casting and trolling are also common angling methods used in these waters. These intimate stillwaters boast large numbers of aggressive Rainbow trout. Because of their limited exposure to angling pressure, these trout feed confidently on scuds, leeches, chironomids, caddis flies, mayflies, damselflies, dragonflies and corixa. These complex aquatic hatches can lead to unmatched stillwater fishing action both on the surface with a dry fly and below with nymphs. And, BC Rainbows are known for their fight! Stillwater fishing on the numerous trout lakes near Elysia Resort is a peaceful, intimate experience where you will feel at harmony with the wilderness around you. Your soul will be recharged listening to the call of the loons and contemplating the gentler aspects of life. It is also not uncommon to see a moose swim by or watch a loon dive after your fish. More often than not, you will be the only person on the lake. We are literally surrounded by trout lakes. And, the good news is that these small and intimate stillwaters, among which there are several trophy lakes, are less than a half hour from Elysia Resort. All of these peaceful waters make for a great day trip and offer rewarding stillwater fly fishing experiences.